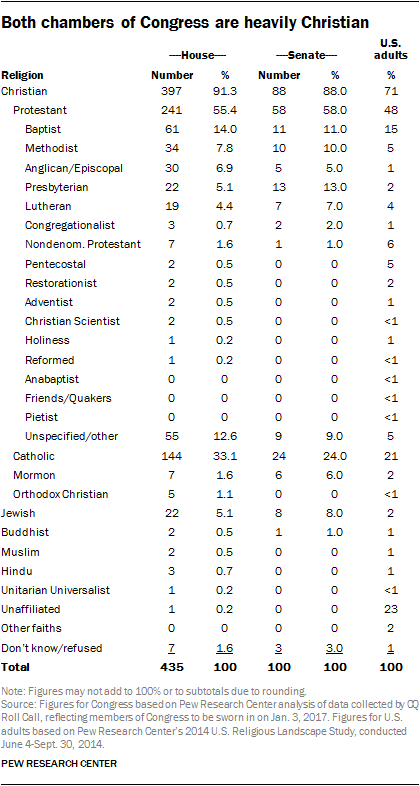 Like the nation as a whole, Congress has become much less Protestant over time. 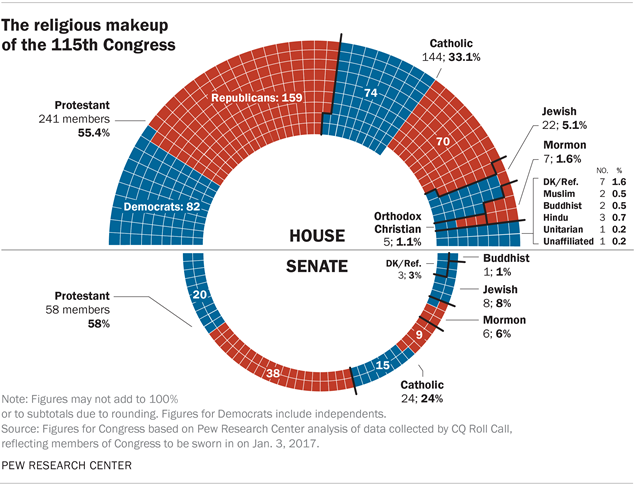 The total percentage of Protestants in Congress has dropped from 75% in 1961 (at the beginning of the 87th Congress) to 56% today. 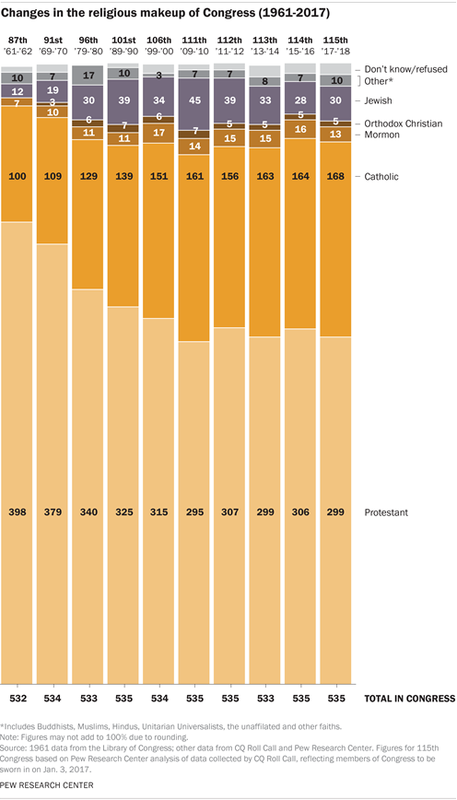 During this period, the share of Catholics in Congress has gone from 19% to 31%. 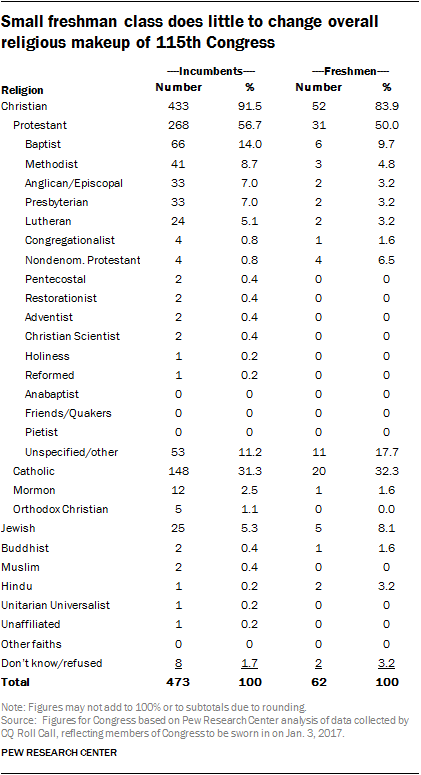 The 115th Congress has seven fewer Protestants than the 114th (299, compared with 306 at the beginning of the 114th Congress). The election of Rep. Colleen Hanabusa, D-Hawaii, brought the number of Buddhists in Congress from two to three. The other two Buddhists in the 115th Congress are Sen. Mazie K. Hirono, D-Hawaii, and Rep. Hank Johnson, D-Ga. Both the House and Senate have Protestant majorities (58% in the Senate and 55% in the House). 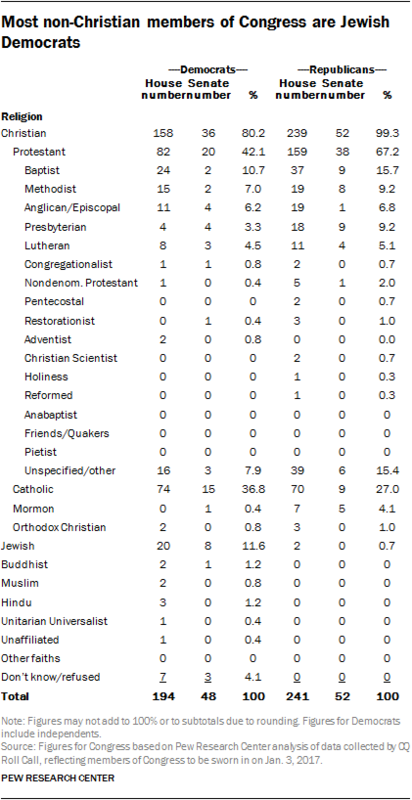 But there are differences among Protestant denominational families. 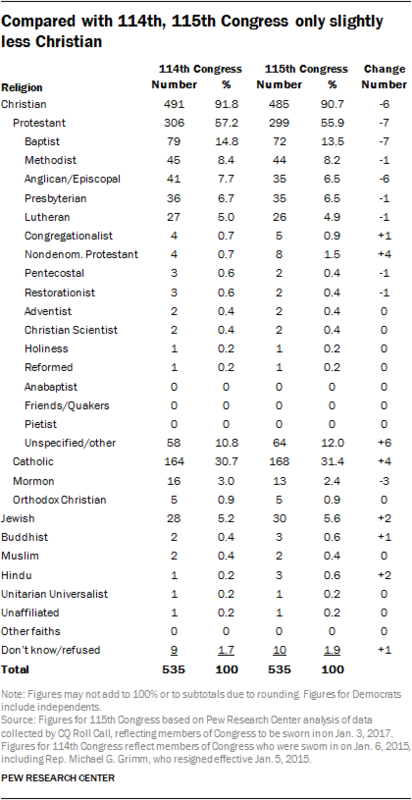 Baptists, for instance, are more numerous in the House (in percentage terms) than in the Senate, while Presbyterians and Lutherans account for greater shares of the Senate than the House. 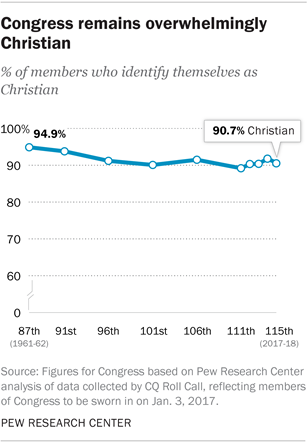 As with Republicans in the general public, Republican members of Congress are overwhelmingly Christian (99%). Among U.S. adults who identify with or lean toward the Republican Party, 82% are Christian. 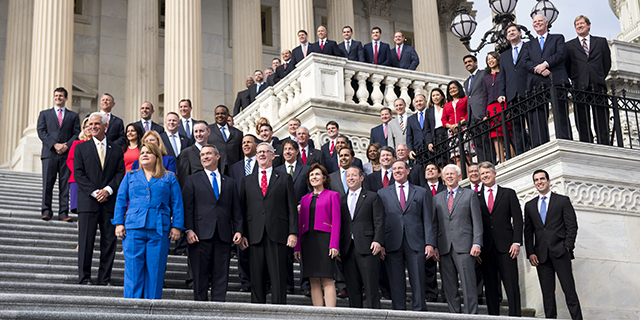 The new, 115th Congress has the smallest freshman class of any Congress in the last 10 years – 62 new members will be joining 473 incumbents.